Revamped in-game menus: Visual and functional overhaul of menus including; inventory, crafting, spell-crafting, tame management and social relationship management. Cooking system: Create dishes that provide various uses, bonuses and buffs. Quest system: A new system that will reward players with rare and valuable weapons, resources and items. More Quests: Large variety of quests, more options, available throughout the entire game. Raid System Overhaul: Fully re-blanaced to the raid system, and newly implemented raid notification system. House System: Complete house system overhaul! Represent your house and wear it with pride. Rebalances: Visual improvements, gameplay, progression rebalances and more! 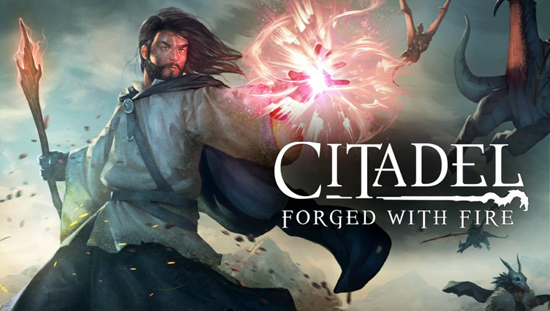 Citadel: Forged With Fire is available now on Steam Early Access for $24.99 and is in development for PlayStation 4 and Xbox One, the all-in-one game and entertainment system for Microsoft. The reignited update will be available on August 3, 2018, free to all current players of the game.